When you think of low-quality water, you may think of under-developed or impoverished countries. However, even the U.S struggles with providing clean water to its citizens in certain parts of the country. Here is a representation of the cleanest and dirtiest water utilities in America. by GOOD.Learn about data visualization tools. 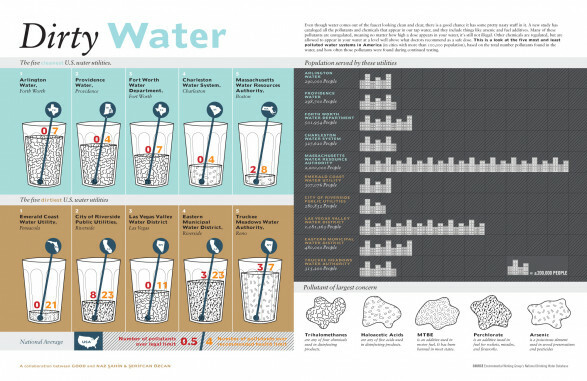 This entry was posted in Healthcare Issues, Infographic, Public Health and tagged Bottled Water, Drinking, Healthcare Issues, Infographic, Pollution, public health, Water Quality. Bookmark the permalink.